What sound is that you ask? The sound of rapidly melting snow! YAY! 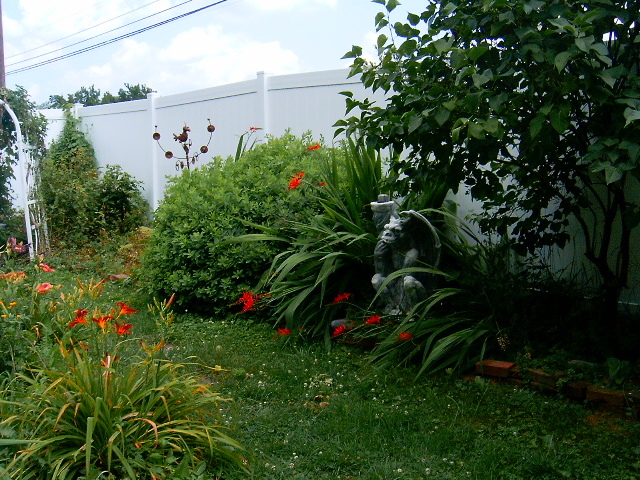 Soon we’ll have green grass and flowers and be able to go for walks! 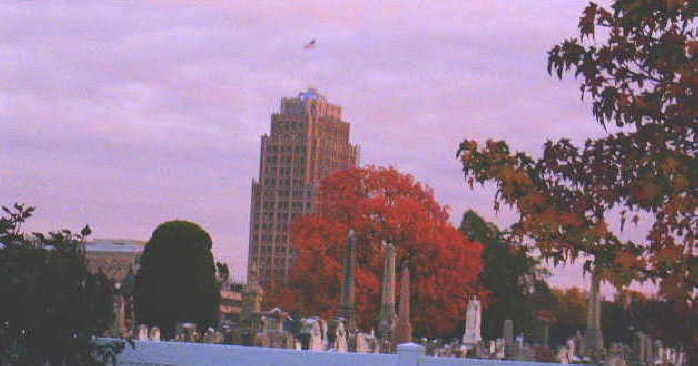 Okay, I finally took the picture of the naked trees. What a difference a couple of days makes. Yep, that’s a big difference. 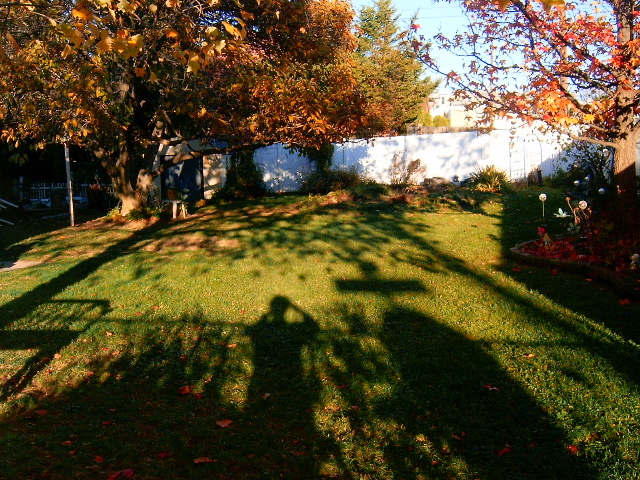 After raking and using the leaf blower all day again, I have decided that I truly hate fall as much as I do winter. Every muscle in this aging body aches. I can barely lift my arms and I have a light weight leaf blower. 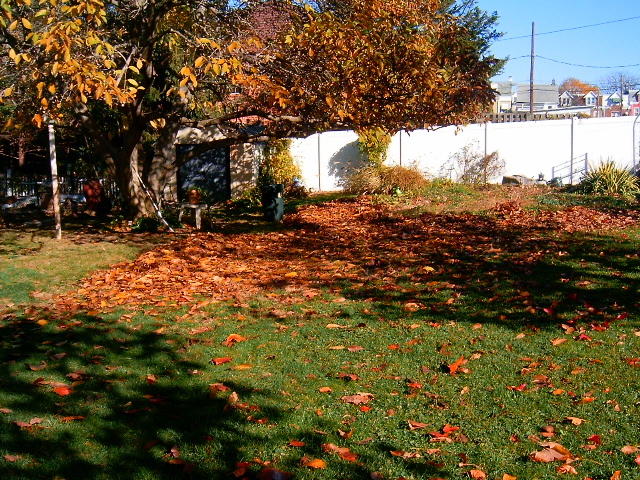 I can’t imagine how much I’d be hurting if I’d used the huge gas-powered leaf blower that we have in the shed. Yeah, that’s another thing to get rid of now. The list grows exponentially as I find things too heavy for me to use and knowing The Curmudgeon will never use them again. So far there’s the riding mower, a gas-powered weed eater, a couple of chain saws, hedge trimmers, and the gas-powered leaf blower that need new homes. I have a light-weight electric leaf blower and trimmer for me. I’ll be buying an electric mower next summer. Looking forward to Spring already. Oh, my goodness! If I hadn’t had the use of my Tens machine yesterday I wouldn’t be moving as well as I am today. It is a real blessing. 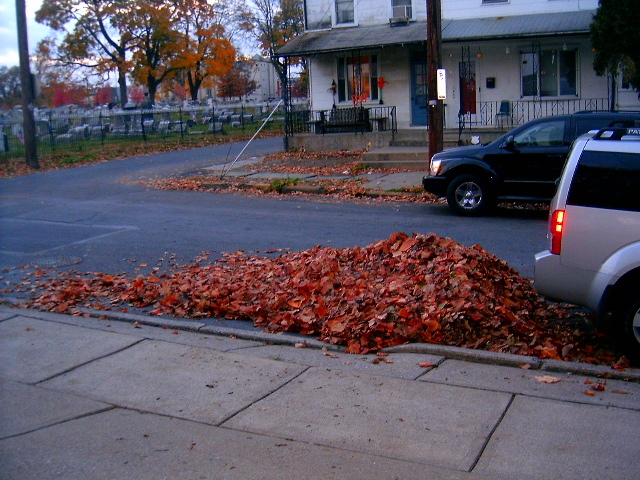 If you are looking for me today, I’ll be outside running the leaf blower and raking. 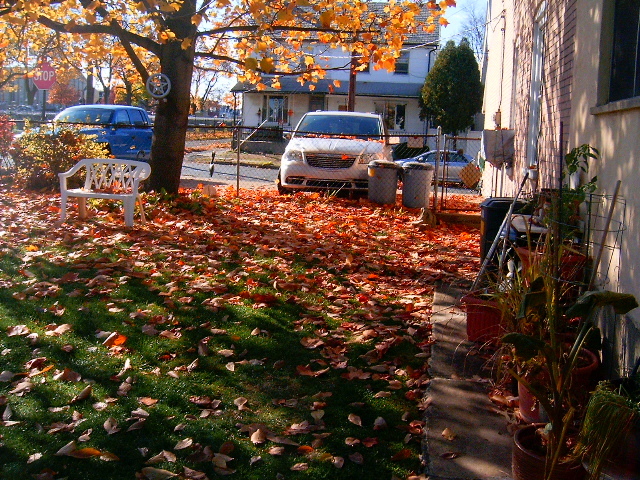 My nice clean yard is all full of leaves again. I swear there are twice as many in the driveway. 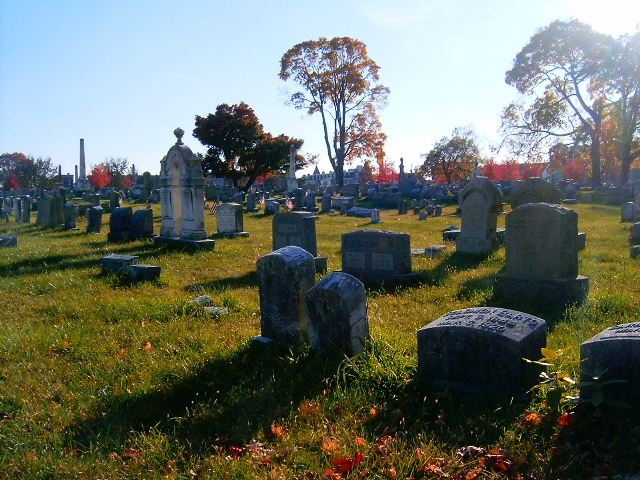 I remember now why fall is not a favorite season–too much work involved and I am, basically, a very lazy person. 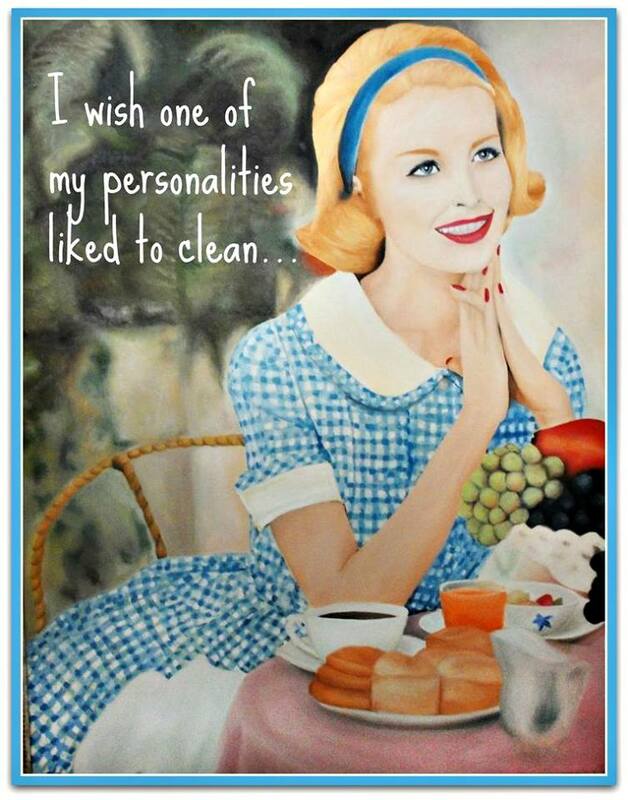 Too bad I can’t split myself into two people, then I could clean the house while I worked in the yard. Fall is here for sure. 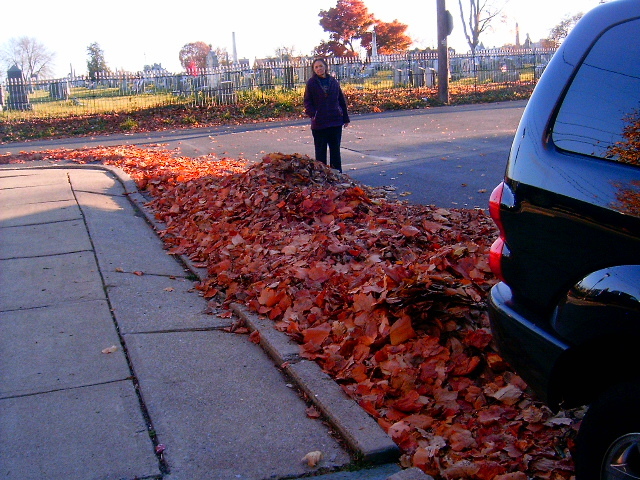 I spent yesterday afternoon outside raking and using the leaf blower. Holy cow! I was beyond beat and dehydrated when I finally finished. I do believe some very sore muscles are in my near future. Lucy hates that her leaves are gone. She won’t stay that way for long because the trees still have plenty to give her. She loves to combat crawl through the leaves. 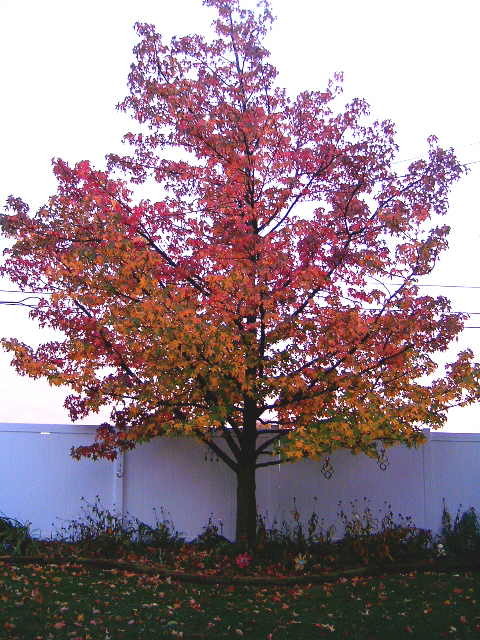 For now, you all have a good one and enjoy some of our fall colors. The leaves are getting deep around here. 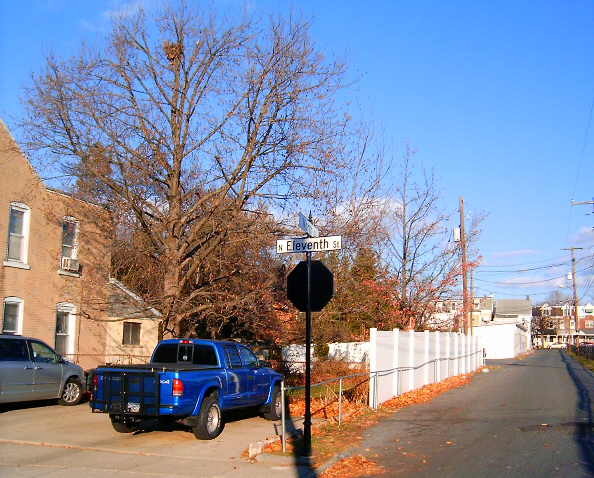 I am so glad I snapped this picture the other day before the tree lost any more leaves. 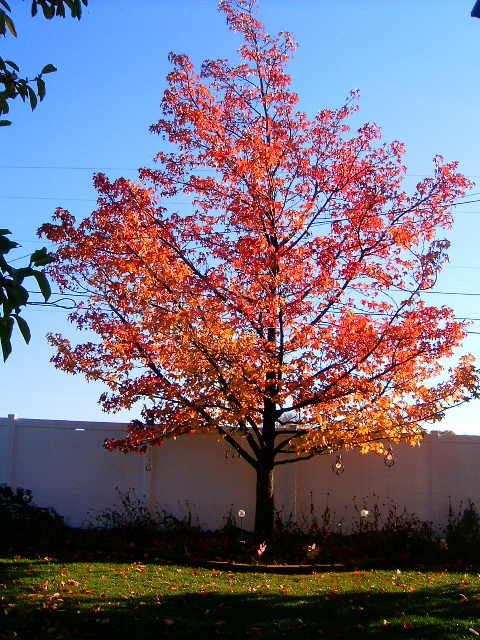 This is our sweet gum tree. 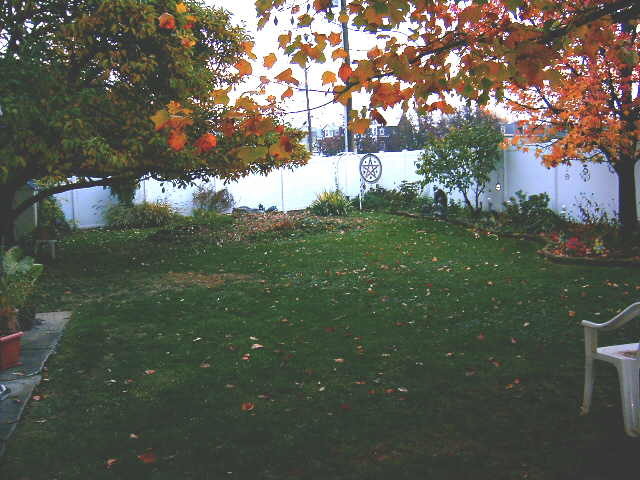 The magnolia and tulip tree are dropping their leaves like crazy. Yep, it is fall for sure. 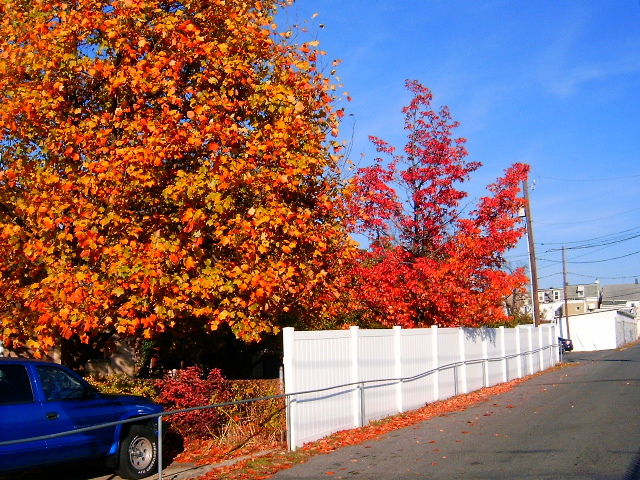 Then out front we have a street full of maple trees and they are all rapidly dropping their colorful clothes. Every time I open the front door I have to sweep the porch clear of leaves or they track in.